Westward travelers stopped to use the natural springs found at Scott Springs. 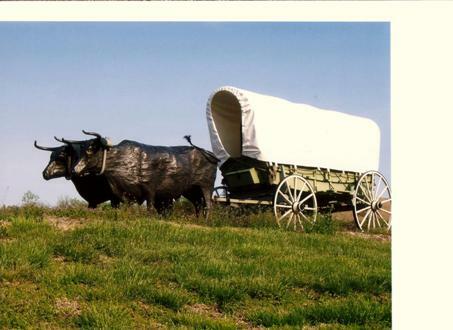 A local sculptor designed the oxen pulling the covered wagon. The park is maintained by Pottawatomie County and has several informational signs. The original Scott Springs still runs through the park.